Outdoor Business Signs: What Type of Custom Signs Does Our Sign Shop Offer? When you come to our sign shop looking for a new outdoor business sign, you’ll have many options. You might need a temporary outdoor banner while your permanent sign is being created. Perhaps you’ll need in-the-ground wayfinding signs on your property, or you need your lighted business sign to stand out from every other store around you. 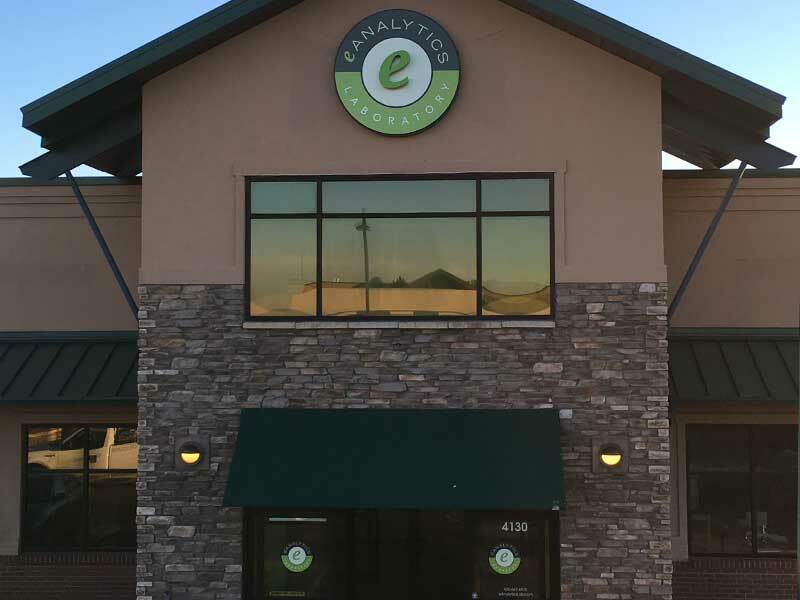 While Action Signs can handle all of your signage needs both indoors and out, our specialty is custom outdoor business signs that you can be proud of. 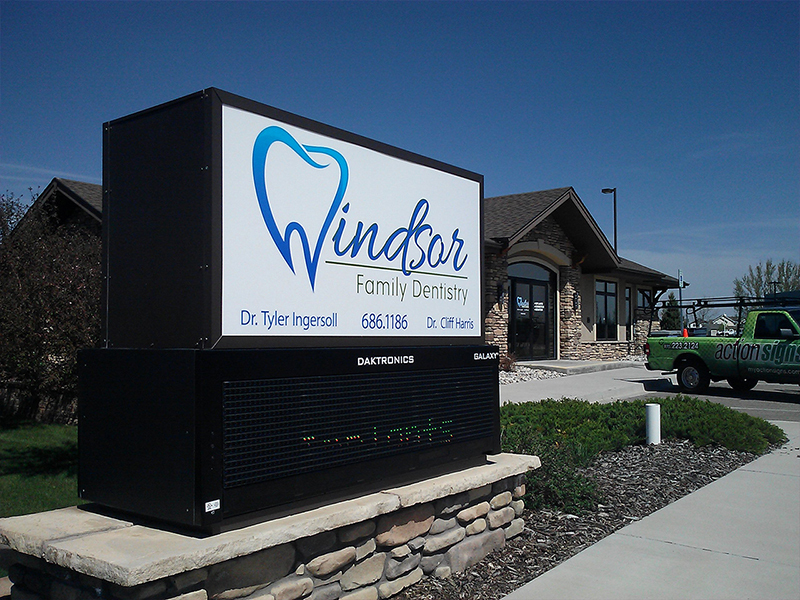 With so many types of outdoor signs, you’ll have many different options to choose from. Let’s take a look at the most popular kinds of signs that we’re hired to create here in our sign shop. Channel letter signs are one of the most common types of lighted business signs. They are custom-made signs that represent the primary means of identification for the building from a distance. 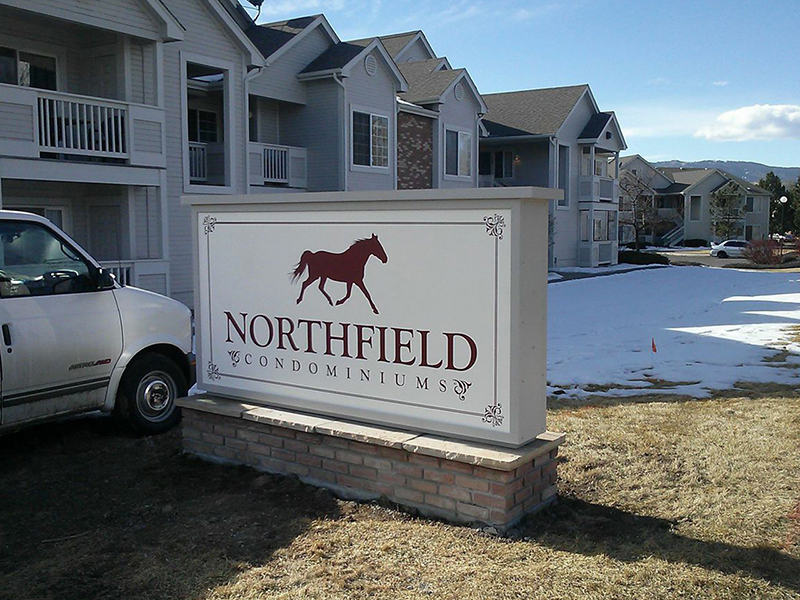 These three-dimensional signs are installed on the front and sides of buildings, whether it’s in the middle of Old Town Fort Collins or above the walkway of a brand new strip mall. Channel letter signs are so popular because they look classy and are often made specifically for the business at hand. Each letter of the sign is made individually from metal, lit from within, and covered with a translucent piece of polycarbonate or acrylic fiber to let the light shine through. Logos can also be incorporated, as you can see from this sign from the Ever Open Cafe. Lightbox signs are one of the most versatile types of signs out there. The box design is usually very simple and lit from within. A highly detailed translucent panel is created and placed in the box, then sealed. Backlit outdoor business signs can be square or round, large or small. 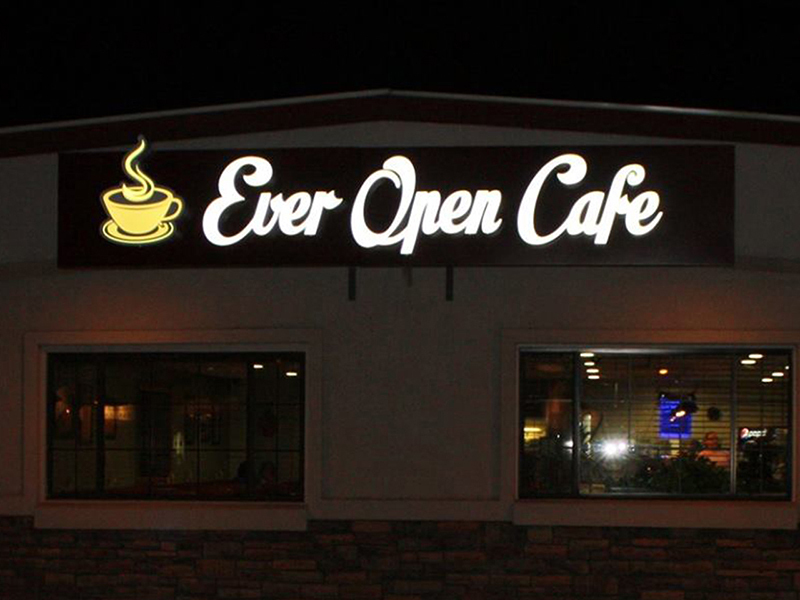 Customers like these types of lighted business signs because of the amount of detail and information they can deliver. Lightbox signs are similar to printing, in that company fonts, colors, and logos can be used. Detailed information can also be included, such as what services the company provides, website addresses, and phone numbers. With a reverse halo sign, the letters do not glow from within like they would if they were a channel letter or lightbox sign. Instead, these metal signs cast a light behind them and onto the building, which makes them stand out and appear to be floating in front of the building. The sign also stands out in the day thanks to its dark letters. Reverse halo signs are one of the classiest sign options available, but aren’t necessary for every type of business. 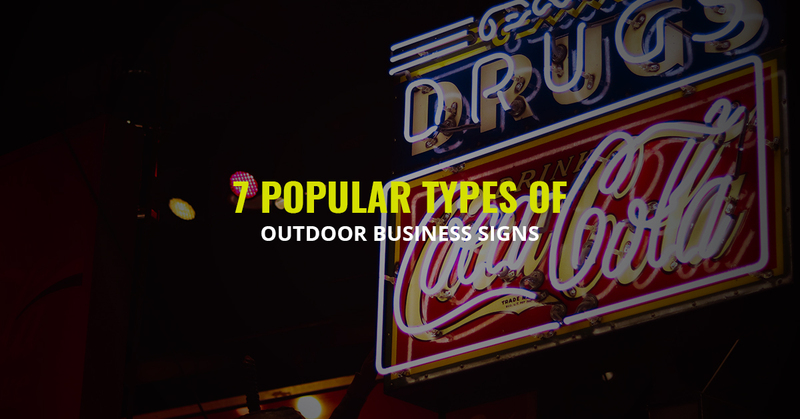 It’s important to talk to a sign shop to make sure that the type of outdoor business sign you’re considering will be sending the right message. Monument signs can be very versatile. While a lighted business sign on the outside of the building is very important, it doesn’t help if the building is so far off the road that no one ever looks at the storefront. 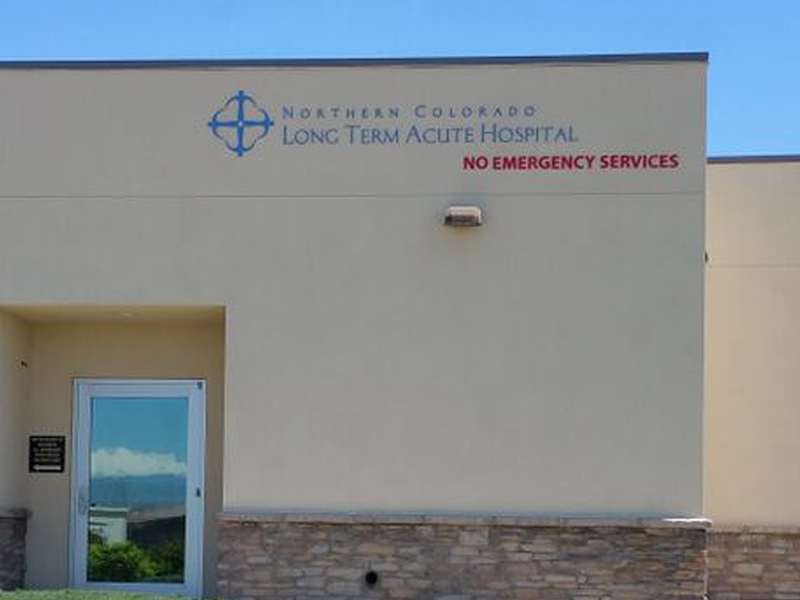 Monument signs are an excellent way of getting the business name closer to the road, and also work well in delineating an area — such as an apartment complex or hospital campus — that doesn’t have a central building. Monument signs offer many options. 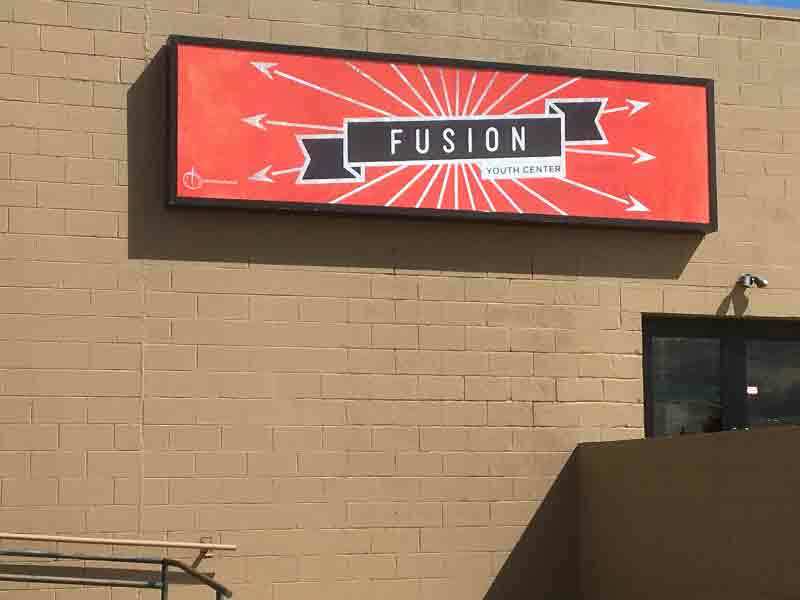 In most cases, a stone or concrete base is built for it, and a two-sided backlit lightbox sign is placed on top with any information the business wants to relay. Other elements can also be incorporated, such as moving LED signs. Not every business is looking for signs that are lit from within. Some businesses want to identify themselves but don’t need to invite customers in. Warehouses, bottlers, and factories don’t have customers but still want a sign that will let people know what’s going on inside. Other buildings might use exterior lights in order to light the sign at night. Architectural signs are, of course, easier to make than anything with lights inside. These signs are cut from metal and applied directly to the building, but they’re far from boring. Very detailed logos and fonts can all be CNC machined to match the branding of the entire business. If you’re looking for a sign that can alter the information that’s being delivered, you might want to consider some sort of sign that incorporates a screen. Whether it’s a television-like digital screen or something a bit more simple, you’ll be able to change the message that gets to your potential customers. Signs like this are almost always part of a larger sign, either a monument sign or a lightbox sign, so that the name of the company stays static while other information changes. Temporary signs are sometimes used if a company is waiting for a permanent sign to be installed, but most of the time these signs go up during construction and remodeling. Companies want to start advertising as quickly as possible, so high-quality temporary signs are put up in order to tell people what’s coming or to guide them during remodeling. Contact Our Sign Shop Today! 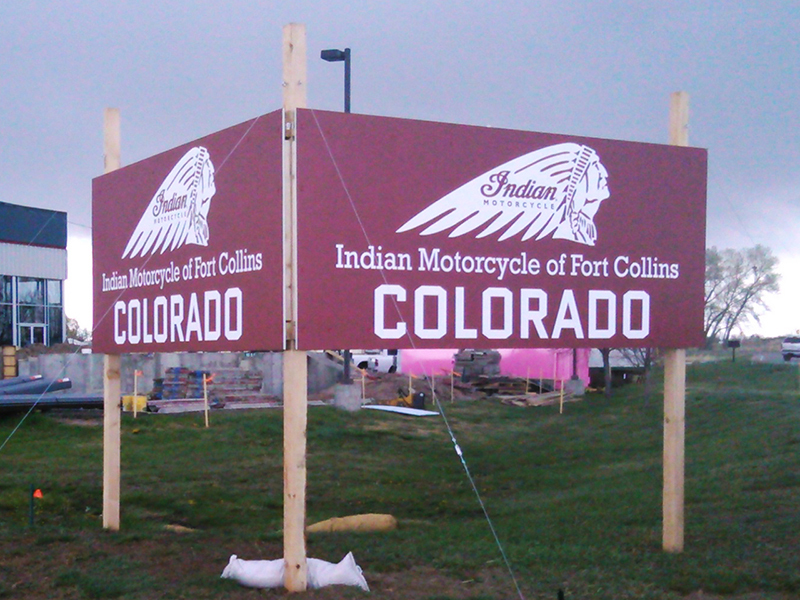 When you’re looking for outdoor lighted signs that will get noticed, Action Signs is ready to provide you with the best signs in Fort Collins. We know what works and what doesn’t, and we’d love to guide you to the most effective sign possible. Contact us today to get the process started!